The famous millennial generation is coming of age and becoming the major moving force behind the world’s economy. They’re finishing their studies, building their careers, starting families, and, yes, looking for a place to call home. However, their views of life, including their spending habits, information acquisition,and expectations regarding communication are different than what we’ve been used to. If you want to do some effective marketing, regardless of the product you’re selling, you’re going to need to adapt to their expectations. But the coin does have two sides, as usual. A young millennial will be more sensitive to new marketing strategies, but he or she will also be looking for advice from their parents, relatives or friends from the older generation, because of their experience. In my opinion, the best strategy is to keep both sides of the coin covered, each in its own way, and you win. The golden rule of marketing to the younger generations is: go digital. Young people are used to getting all their information online, they make use of the newest gadgets, they’re accustomed to fast-paced development and straightforward value communication. They’re after stories, genuine brand identity, and personal engagement. But enough of the values, let’s see what you really need to do to attract them. Create and maintain a strong online presence. Build up and manage your social media profiles daily. Provide a well-written description of who you are and what you do, and engage with people daily. Optimize your website to be mobile friendly. You hardly see a young person without some sort of a handheld device in their hands, be it a smartphone, a tablet, a netbook or a smart watch. Heck, you hardly see anyone without it these days. You want to make sure that your website will be accessible for anyone, from anywhere. Professional and stern brand communication is a way of the past. In their private and professional lives, millennials enjoy original but relaxed communication, which applies to advertisement as well. The financial world is scary as it is, if you give the impression of being their friend, you’ll have them on your side in no time. Nothing says “quality” as much as a bunch of genuine, satisfied clients. Ask them for their honest testimonials and make them the front line of your presentation. The review can be written, or it can be a video — it’s the format that’s taking over all the others, so why not use it as well? You can reciprocate with networking opportunities or other advantages. 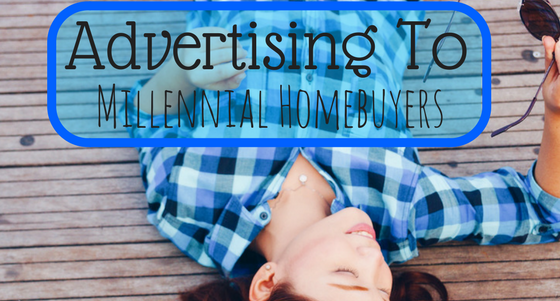 If you want to become the number one mortgage broker for millennials in your area, brand yourself as such. You’ll step outside of the crowd of “greedy mortgage brokers” who’ll take any job that comes their way, plus you’ll increase the chance of coming up first in Google search, if you optimize your content accordingly. The “older and wiser”, these people are your past clients whose experience is key to your marketing efforts to the young ones. They’re used to the marketing the way it was when they were looking for a mortgage deal, and their recommendation can be a game changer for your business. You can call up a few of your most satisfied customers and ask them to write a short review of why they chose you and why anyone should, too. Reviews from the whole age spectrum are the best badge of quality. Yeah, you may have read that newsletters and mailings are just spam folder fodder. They often are. I know people who throw all commercial mail away without even looking at it, but when thinking about important financial decision, they go and ask their mom who still has a “Mortgage” folder in her mailbox and checks it regularly. A simple card with best wishes will do. You want to show that they continue to be your valued customer although you haven’t done business for the past ten years. This way you’ll be the first to pop up in their mind when someone asks them about a trustworthy local loan officer (given the fact that they were satisfied, that is).